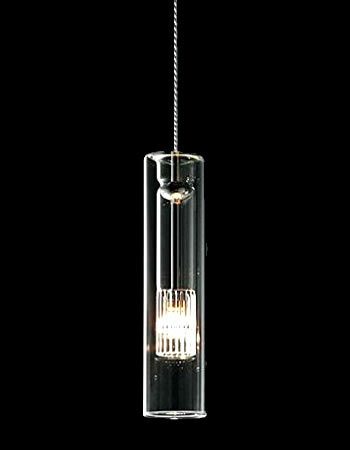 Fairy is a clever design made from a simple borosilicate shape that folds into itself to create a beautiful ribbed core. 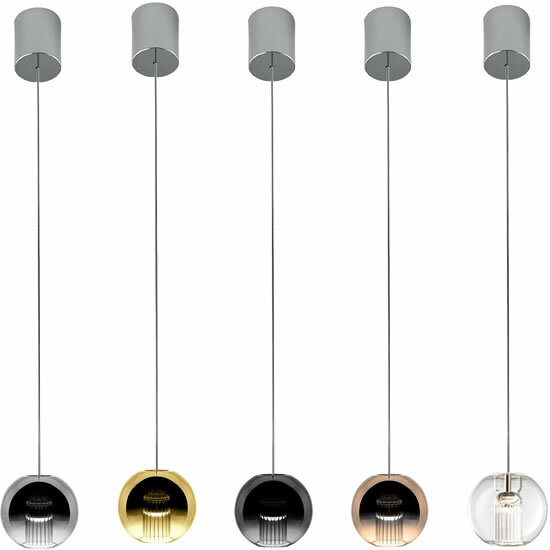 Fairy was updated in 2017 to include four new metallic color options, which fade levels of transparency to create dazzling lighting effects as the light from the inner tube reflects off itself—creating dynamic light echoes and halos. 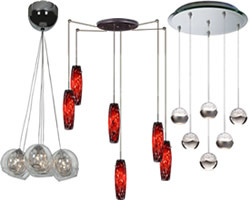 These lighting effects change and morph as you look at Fairy from different angles. 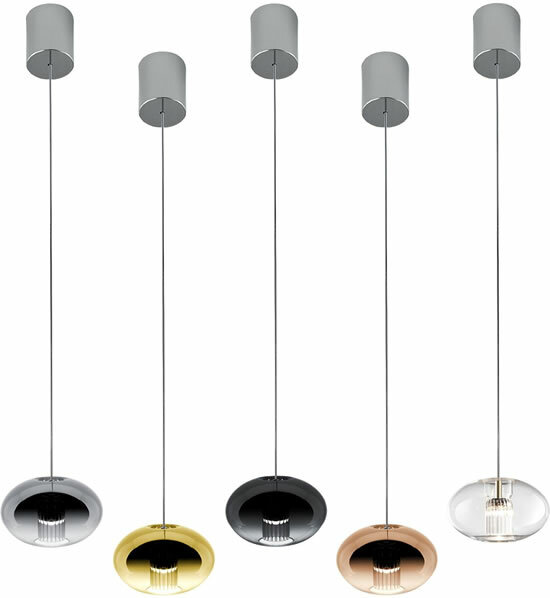 Fairy is customizable as a multipoint pendant: unleash your imagination to combine fairy elements to create brilliant floating clusters of 1, 3, 5, 10, 15, 20 or 25 sure to enchant. 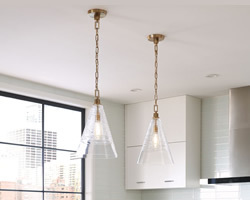 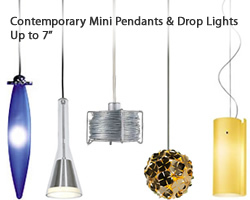 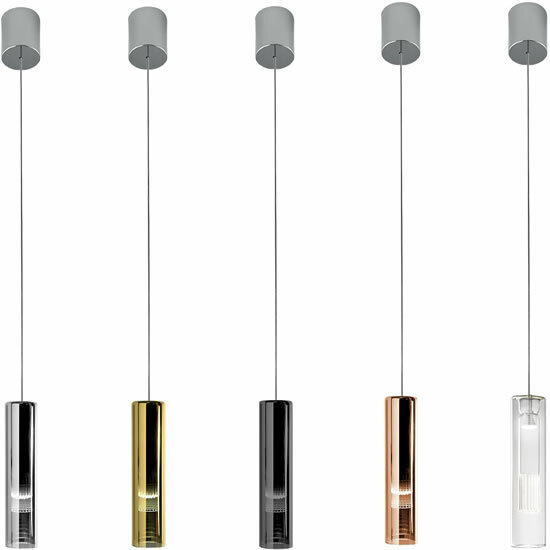 Mini Pendants & Drop Lights Up to 7"